Jamaican Traditions - The practice of obeah. Few Jamaican traditions are as openly rejected, and yet secretly embraced, as obeah. Why, and what is it, exactly? Olive Senior's Encyclopedia of Jamaican Heritage (a fantastic resource book on Jamaica) describes obeah as "The word used in Jamaica to denote witchcraft, evil magic or sorcery by which supernatural power is invoked to achieve personal protection or the destruction of enemies". In trying to write about it, I came to realise that my knowledge of this most shadowy of Jamaican traditions was itself very shadowy, based on impressions and anecdotes, not on actual facts. Memories of being in a pharmacy and watching a lady pull from her bosom a "prescription" with a list of words including "garlic, blue, and frankincense". Seeing bottles on remote store shelves with labels like "Oil of Come Back to Me". Stories of stones raining down on a house in my community because of something or someone mysterious called De Laurence. Jamaican traditions at their scariest! If you were to ask a group of Jamaicans if they believe in obeah, you'd get a variety of responses. Some would say that they don't believe in it, and that it's one of those Jamaican traditions that is all nonsense and superstition. Some would say they know it exists, believe in its power, but would never practise it. Very few would admit that they have ever been actively involved in obeah. Not all would be telling the truth. Jamaicans will also have differing opinions as to what obeah actually is. The broadest interpretation will include any type of healing ritual using local bushes and natural remedies, falling outside of established conventional medicine. Narrower views will say that the invoking of spirits is an essential part of obeah, or that obeah is primarly used to do evil, or to ward off the evil set by others. 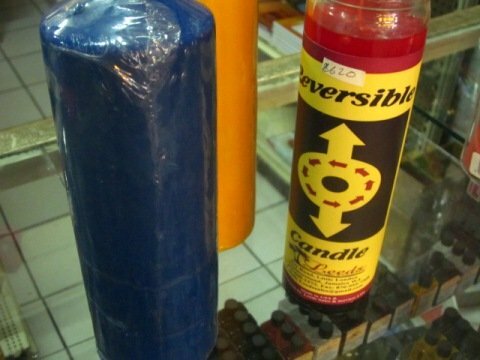 Jamaican Traditions - where did Obeah originate? Obeah is one of the many Jamaican traditions rooted in our West African ancestry. Included in the slaves brought to Jamaica were healers, medicine men and priests.Many pursued their traditional practices when they arrived in Jamaica. The Africans distinguished between practices which used sorcery, usually for evil purposes (obeah), and those used for healing and to counteract evil (Myal). Even the masters saw that the two classes were not identical. The early Myal-men and Obeah-men (women too, in both cases) were patronised by both whites and blacks. In time the distinction between the two groups became blurred, and all such practices were labelled "obeah". 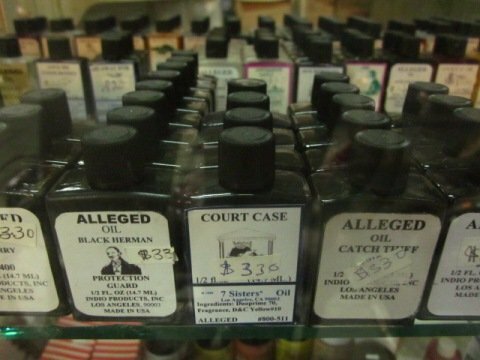 Many obeah practitioners seem to be well versed in poisons and other harmful substances. 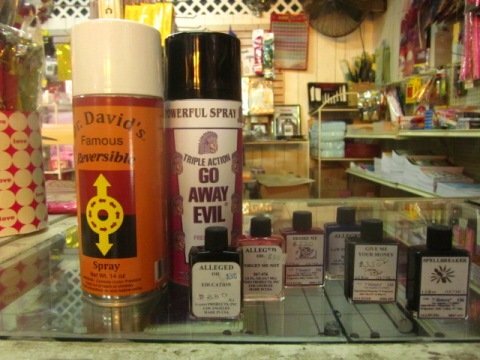 Hundreds of deaths of both blacks and whites during the days of slavery were attributed to poisons devised by Obeah-men. Obeah was made illegal in Jamaica in 1760, when it was linked to the Tacky rebellion which started on an estate in St. Mary and spread to other estates. Despite embracing Christian principles, for many people the Jamaican traditions and beliefs that originated in Africa are too strong to resist. There is a lot of guilt, shame and therefore secrecy and denial when an Obeah-man is consulted. If someone who believes in it thinks they have been obeahed, they worry so much that if the obeah itself doesn't make them sick, the worry surely will! People have wasted away and died when they believe they have been obeahed. The Obeah-man (or woman) is a well established persona in the Jamaican society, with a patronage which is largely lower class, but also includes society's movers and shakers. He may be feared, hated, respected or even mocked, but I doubt if he's ever broke, as there are always customers! He is a last resort for many who have exhausted avenues offered by conventional medicine. He is the first choice of many who want to 'tie' their lovers to them forever, to ensure their success in a court case or in getting a visa, or to get revenge on their enemies. Some faith/natural healers today say they are misunderstood - taken for obeah practitioners and treated with disdain by society. Titles given to such healers are Madda (Mother), Shepherd, Balmist, Brother. Healers from the Revival Church in particular feel they are given a bad rap, as they are professed Christians. A balmyard (name given to the place where Obeah-men or balmists carry out their activities) can usually be distinguished by one or more brightly coloured flags on the compound. A visit to the Obeah-man for the purpose of healing, or personal advancement may involve a "reading" in which the Obeah-man diagnoses the problem. Clients may be given a bath made from various herbs and bushes, with accompanying chants and incantations. Prescriptions for rubbings, or mixtures to be ingested may be part of the treatment. To set obeah on an enemy, the Obeah-man may require an article of the person's clothing, or a strand of hair. Powders and other charmed substances may be given to be sprinkled or put in the person's way. The established way of counteracting obeah which has been set on you is to turn it back by engaging a more powerful Obeah-man than the one used by your enemy. While some modern day practitioners of obeah and other Jamaican traditions of healing confine themselves to methods derived from Africa, others, known as "science men" have accepted practices, philosophies and equipment (such as crystal balls) from other spiritual traditions. Many of these embrace what is whisperingly known as De Laurence, a name which I found equally terrifying and mystifying as a child. Lauron Wlliam de Laurence was an American author and publisher of spiritual and occult material. In the late 19th century he established a mail order company which still exists today, supplying spiritutal, magical and occult goods. The most famous books published are The Sixth and Seventh Books of Moses which purportedly were written by Moses himself, but were not included in the Bible. These books are said to explain how Moses won the contest against the Egyptian magicians, parted the Red Sea, and performed other feats. All De Laurence books are illegal in Jamaica. This brings us to houses being stoned, flooded and otherwise terrorised because of De Laurence. It is said that when someone fails to pay for De Laurence books or material, this will result in all kind of calamities befalling his residence, the most popular of which is stoning by an unseen source, and water being thrown on anyone trying to enter. I've heard of this so many times, and seen the abandoned houses and talked to the wet people, that there's no way I'd make De Larence my choice reading material! Do I believe in obeah? I do believe that it may be possible for people to heal and harm through the use of occult practices. But I also believe that many of the Obeah-men in Jamaica today are not the real deal. My father, who was a doctor (real old-time, well respected country doctor), told me that one of his patients was a prominent Obeah-man, whose name he didn't reveal. So as not to lose face with his clients, the Obeah-man would travel to visit my Dad lying down on the floor of a taxi. As a courtesy, my father allowed the car to park at the back door to the office so that no one would see him enter or exit the office. As a child, that made me laugh about as much as the term De Laurence still makes me shiver today. I leave it to you to make up your own mind about obeah. It's definitely not one of the most celebrated Jamaican traditions! Click here if you're interested in Jamaican traditions dealing with birth and death.